Please note that Bitrix24 supports all kinds of integrations with multiple networks and mobile messengers. 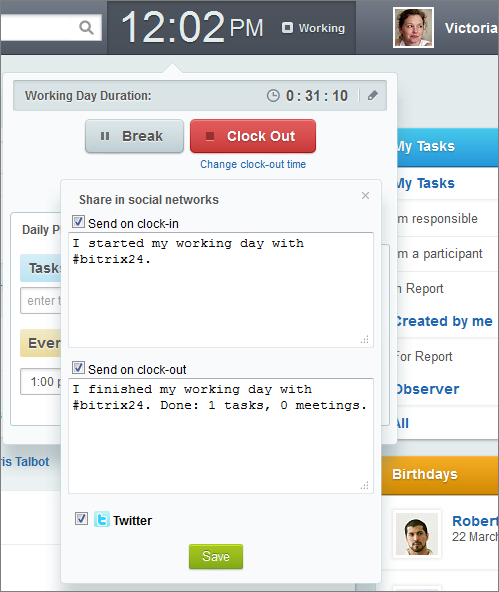 Bitrix24 has a new feature for users that actively use social networks. Now users can enter Twitter account data into the personal profile and any tweet containing the hashtag #b24 will be displayed in the Activity Stream. Users can also send information like clock-in time and number of tasks or events for the day to their Twitter or Facebook accounts, if desired. 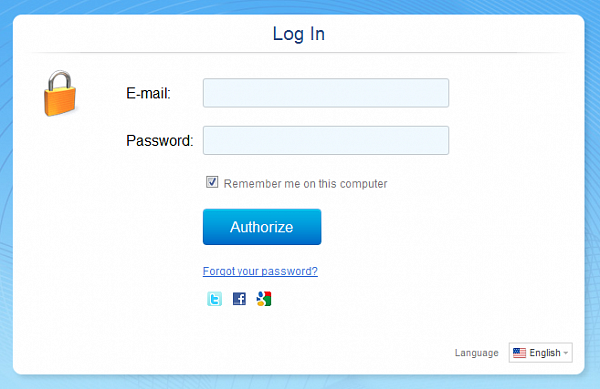 Additionally, users can now use their Twitter, Facebook, and Google account to authorize on Bitrix24. To use these integration features, a user needs to enter their social network data into their user profile. So to be clear, a user cannot create his or her user profile in Bitrix24 using a Facebook account, but once the Bitrix24 profile is created and the Facebook information is put in, future logins can be done conveniently using the Facebook account.